Newborn shoots are some of my favorite shoots. While I could cuddle and photograph any baby all day long, I understand that having a baby is not only a magical/wonderful time in life, but that it is also filled with new challenges, tons of changes and some stress. This is where my speedy skill set really comes into play. Time is so valuable in the beginning and all of the extra time I spend with you is time away from your other family members, time spent resting or flipping through parenting books. :) I also recommend having photos in your home to save the stress of packing up and trying to remember everything while being on time. And no, you don’t have to have a sparkling clean or a magazine ready home - I can always find a space! 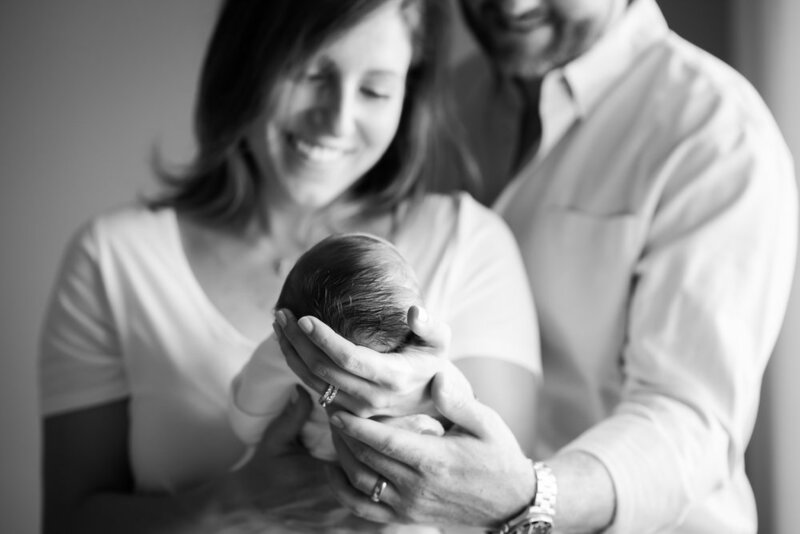 All of my newborn sessions are baby focused but parents are strongly encouraged to participate. This not only helps the session go by quickly, but will show just how small your little one is as well as the beginning of a life long relationship. Hate being in photos? No problem - these truly are baby focused and will mostly not include you smiling at the camera. Still hate that idea? No problem, we can do just the baby as well.